Japan’s space agency, JAXA, has failed in its mission to test technology for clearing up the copious amount of junk in space. Launched in December, the Kounotori 6 cargo transporter’s mission included first delivering supplies to the International Space Station and later launching a magnetic tether designed to redirect debris into the Earth’s atmosphere. The 700-meter tether should have helped to draw low-orbit debris towards the atmosphere where it would get burned up. However, the spacecraft itself burned up on re-entry on Sunday without clearing any debris, JAXA confirmed, when they were unable to fix an issue with the tether release mechanism. "We believe the tether did not get released,” leading researcher Koichi Inoue told reporters. "It is certainly disappointing that we ended the mission without completing one of the main objectives," Koichi added. Debris from rocket, satellite and other space launches is of growing concern to space agencies and telecoms companies alike as the objects – even tiny pieces – pose a safety risk to astronauts as well as potential operational interference for any craft orbiting Earth. Last year, a window on board the ISS was cracked when struck by a piece of space junk merely the size of a fleck of paint. 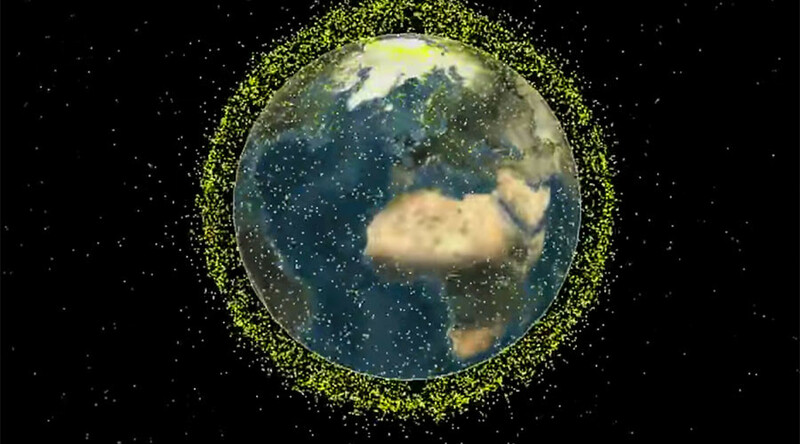 NASA estimates that there are more than 500,000 pieces of debris larger than half an inch across, whizzing around Earth at speeds up to 17,500mph. The European Space Agency estimates the total number of pieces of rubbish in space is more than 170 million.